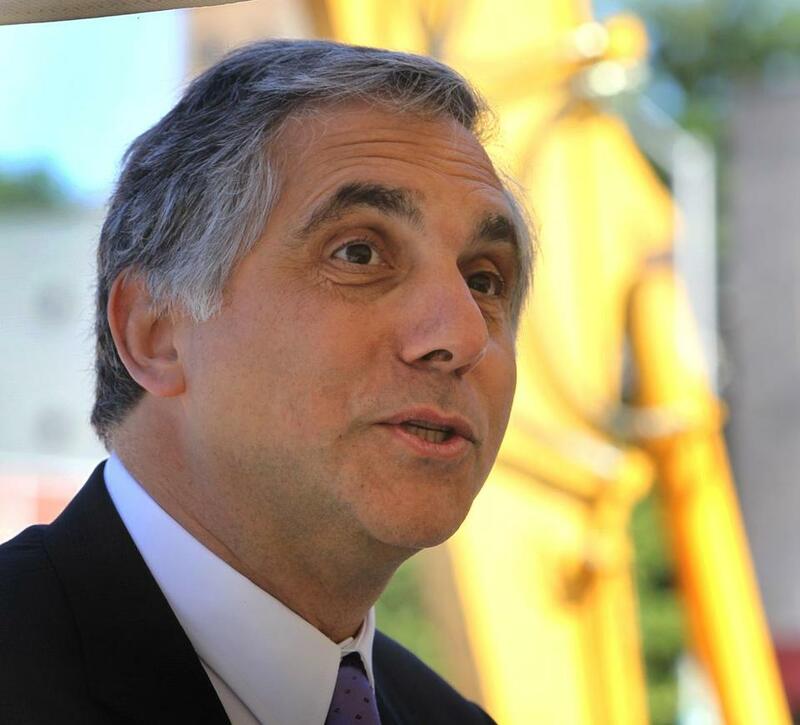 Gary Gottlieb said Friday that he will step down next year as chief executive of Partners HealthCare, which is facing stiff opposition to expansion plans that would give the state’s largest hospital system even more clout. Gottlieb, who has held the job for five years, will leave in July 2015 to become the chief executive of Partners in Health, the Boston-based nonprofit that provides medical care in Haiti and other impoverished countries. The Partners HealthCare network comprises 10 hospitals, including Brigham and Women’s and Massachusetts General hospitals in Boston, and more than 6,000 physicians. It is separate from Partners in Health. In an interview in his office in the Prudential Tower, Gottlieb said he serves on the board of Partners in Health and was asked to consider leading the organization after its executive director announced in May she would leave that role. In particular, Gottlieb will stay involved with hammering out Partners’ pending settlement to expand. “I’m the final word around that,” he said. Partners HealthCare said Gottlieb, 59, is not being pushed out, despite having a contract with five more years on it. At the same time, it is no secret that the health care giant is an unsettled place these days, in part because of a contentious settlement negotiated with Attorney General Martha Coakley over Partners’ plan to take over South Shore Hospital in Weymouth and two Hallmark Health System hospitals, in Medford and Melrose. The Partners network has said that by expanding, the system will be able to bring higher-quality, more efficient care to those regions. The pending deal has come under a hail of criticism from insurers, competitors, antitrust specialists, and consumer advocates, who argue Partners already wields too much power and charges some of the state’s highest prices for medical care. The settlement would set price caps and impose other limits intended to prevent the expansion from raising the cost of medical care. Word of Gottlieb’s departure comes less than a month before a Superior Court judge is to decide whether to allow Partners to go ahead with its ambitious plans. Judge Janet Sanders, who is considering the settlement, has questioned what a bigger Partners might mean for consumers and others, and postponed any action until Nov. 10, after the state elections. Gottlieb, who has spent 16 years working at Partners HealthCare and previously was the president of Brigham and Women’s, acknowledged that it’s a difficult time for Partners. The settlement, if approved, will make the network one of the most regulated health care institutions in the country. Some employees are grumbling not only about how restrictive the deal is, but also the scrutiny from regulators and the public glare. Gottlieb also pushed for change and centralization at Partners, which can produce tensions between individual hospitals and the main administration. “There will be people who will have problems with that,” he said. Edward Lawrence, chairman of the Partners board and a retired partner at law firm Ropes & Gray, said the board did not want to see Gottlieb go. The board will start a search for a new CEO, including looking at internal candidates. There’s no shortage of talent within Partners with such leaders as Peter Slavin, president of Mass. General; David Torchiana, who runs the Mass. General Physicians Organization; and Betsy Nabel, president of Brigham and Women’s. Gottlieb’s compensation was $2.6 million in 2012, the last year public figures are available, an increase from $2.1 million the year before. He said he initially hesitated making a move to Partners in Health, given that he would take a huge pay cut and need to travel more. He discussed the career change with his wife, and as the Ebola crisis unfolded in recent weeks, he said it became clear to him that Partners in Health needed someone like him. “It was the message we needed,” he said. Gottlieb, a psychiatrist, sent a memo to more than 60,000 Partners employees Friday night informing them of his decision to go to Partners in Health. “It will be an honor to join their team and advance the health care that every person in the world deserves, but so many are desperate to have,” he wrote. Partners in Health was cofounded by Brigham and Women’s doctor Paul Farmer. The nonprofit has about 15,000 employees globally, handling about 3 million patient visits annually in 11 countries. Most recently, the nonprofit began providing care in Liberia and Sierra Leone, two countries hard hit by Ebola. While not related, Partners hospitals work with Partners in Health. Gottlieb has visited Haiti and Rwanda with Partners in Health to better understand the nonprofit’s challenges in the field. As its CEO, he said, he will be paid about $200,000. He is walking away from his contract at Partners HealthCare and will not receive a golden parachute. “It may be the most extraordinary opportunity in the world,” said Gottlieb. An earlier version of this story incorrectly spelled Brigham and Women’s president Betsy Nabel’s name.